Madurai is one of the ancient cities in the Pandya Nadu region is located on the banks of River Vaigai. The Vaigai River is the major river in Madurai that is originated in the Periyar Plateau of the Western Ghats. Situated on the Eastern slopes of the Varushanadu hills, the Vaigai River is 258 kilometres long with a drainage basin of 7,031 square kilometers. 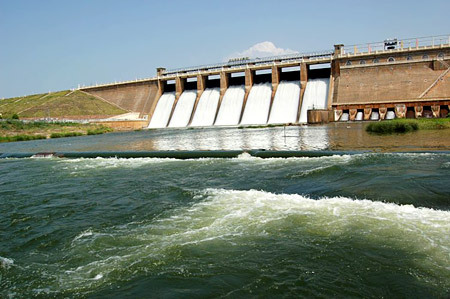 Moreover, the Vaigai basin is one among the 12 basins lying between the Cauvery and Kanyakumari. This important basin is bounded by Andipatti Hills, Palani Hills, Varushanadu Hills, Cardaman Hills and the Palk Bay on the East. Generally, the basin is divided into two topographical divisions such as the hilly areas and the plains. The Vaigai River flows in the Northerly and North-Easterly directions of the Varushanadu Hills. Further, the river takes a turn to flow towards the South-East regions of Sivagangai, Madurai and Ramanathapuram districts. After then, the Vaigai River discharges into Ramnad big tank and some other tanks in the surrounding areas of the Madurai district. The history of the Vaigai River involves a story that happened during the rule of Pandyan Kings. Meenakshi, the daughter of Pandyan King decided to marry Lord Shiva during her young age itself. The daughter’s wish was not accepted by her parents and later they consented to arrange the wedding for Meenakshi. On wedding day, Lord Shiva came to the ceremony without bringing any relatives and family members. The incident disappointed the Pandyan King and there was huge amount of food prepared for the bridegroom’s relatives. Lord Shiva pointed out his friend and told that he will consume all the food. Kundodhara, the friend of Lord Shiva finished all the food and he was feeling very thirsty. All the wells and canals were not sufficient for his thirst and so Lord Shiva asked his friend to put his hand out. At this point of time, the Ganga began to flow and Kundodhara was filled with happiness. It is believed that the rest of waters began to flow in Madurai through the Vaigai River. After then, the River Vaigai has become closely associated with the Chithirai festival of Meenakshi Sundareswarar Temple in Madurai. This famous temple will be crowded with large number of pilgrim visitors and tourists during the festival season. Most of the people believe that Lord Kallazhagar (Vishnu) and the elder brother of Goddess Meenakshi visits the Vaigai River on Chitra Pournami day. According to few reports, it is estimated that the Vaigai River basin comprises of hard crystalline rock masses and metamorphosed rocks. These types of rocks are basically associated with charnockites and pink granites. The metamorphosed rocks are formed during the archaean age and they include cordierite, quartzites, granulites, sillimanite bearing gneisses, etc. Some of the major tributaries of Vaigai River include River Suruliyar, River Manjalaru and River Kridhumaal. Further, the important river Suruliyar and Manjalaru joins the Vaigai through the Vaigai dam that is situated in the Theni district. 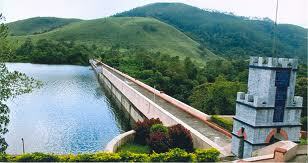 Periyar Dam offers great water resources to the Vaigai River and the waters from Periyar River are diverted to Vaigai via a tunnel. During summer season, the Vaigai River seems to be dry and people in the surrounding areas find it difficult to cultivate agricultural crops. The Vaigai dam is termed to be an important dam that is build across the river near Andipatti in the Theni district of Tamil Nadu. This dam offers water for irrigational purpose to major districts of Madurai, Dindigul and so on. It also supplies drinking water to Madurai and areas of Andipatti. The Government of Tamil Nadu has developed an Agricultural Research Station near the dam with the main aim to grow a variety of crops including cowpea, cotton, rice, sorghum and much more.